The “tiny text” issue is caused by programs that are not optimized for high-DPI resolutions, and programs that don’t scale well. While old programs make the bulk of programs with display issues, you may also run into issues when running newer applications on Windows. Newer Windows versions do a good job at adjusting settings automatically when they recognize a high resolution display. One of the methods increases the size of text to 200% automatically so that everything looks bigger on screen. 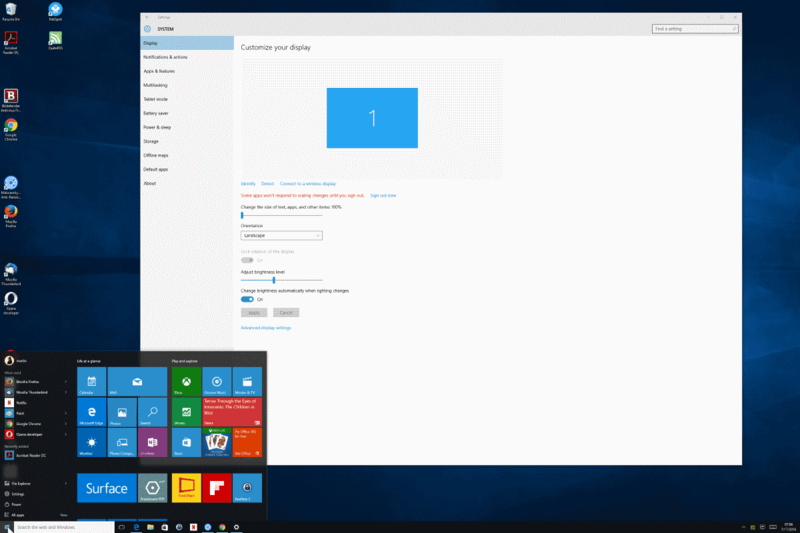 If all windows and text looks tiny when you run Windows, you may want to check that setting first to make sure that it is set up correctly. Generally speaking, Windows 8.x and 10 do a much better job at scaling for high DPI displays than previous versions of Windows. The scaling is automatically adjusted when you move the slider, but some apps may not respond to the new value immediately. If that is the case sign out and in again, or restart the PC to complete the process. 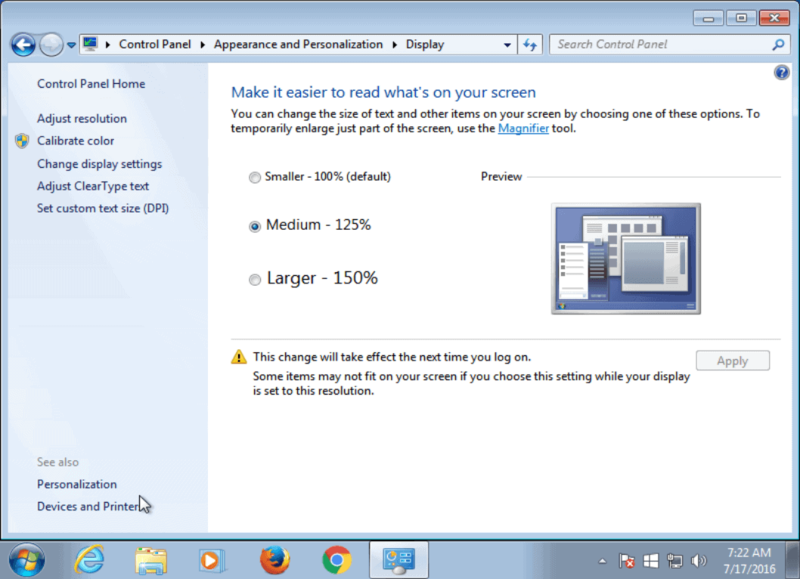 You may also click on “Advanced display settings” to adjust the screen resolution if necessary. Windows gets it right usually though. 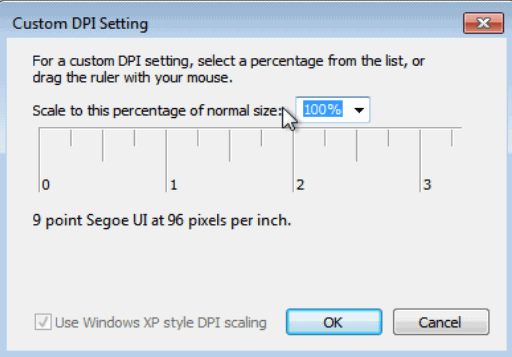 You may also try the “set custom text size (DPI)” setting on the page before you sign out. This allows you to scale text by making it larger. Note that doing so may mess up some programs in the process. Even if you make adjustments to how text scales in Windows, you may run into programs that don’t display well on high DPI displays. 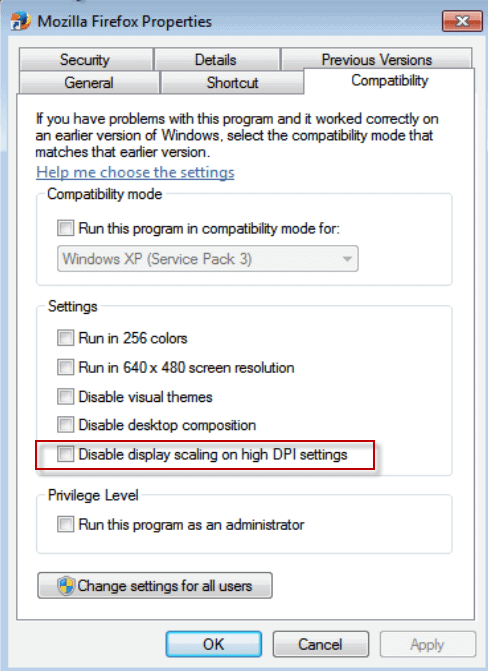 If you notice that a program does not work well with high DPI settings, you may want to disable display scaling for it when you run the program. You find other options on the page that you may want to experiment with, for instance to run it in a lower resolution, or disabling desktop composition. Once you make the change, Windows will enforce the compatibility settings that you have enabled in the properties. Doing so may lead to problems of its own though. Probably the biggest issue that you may experience afterwards is that the program interface, and text, are tiny. Some programs allow you to adjust that while others don’t. If you notice issues after enabling the setting you may want to disable it again if you cannot work with the program anymore as a consequence. You may use manifest files to improve a program’s compatibility with high resolution displays. Manifest files work similarly to the compatibility dialog as they may change certain program properties when available. There is a lot that you can do with application manifests, including disabling a program’s DPI awareness. 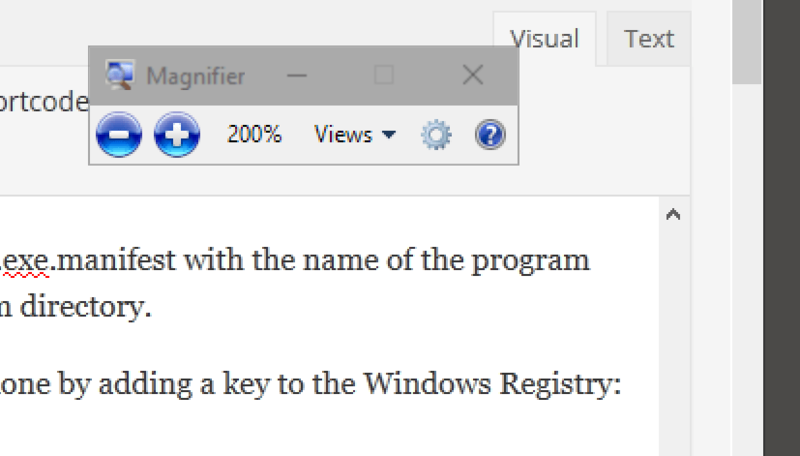 Basically, programs may “tell” Windows when started that they support different DPI settings which may sometimes result in text being very tiny when you run those programs. You don’t need to edit the file itself, only its name. Replace photoshop.exe.manifest with the name of the program that you want to disable DPI awareness for, and place it in the program directory. Right-click on SideBySide and select New > Dword (32-bit) Value. Double-click the newly created Dword and set its value to 1. The options listed above should fix tiny text issues in Windows most of the time. You do have a couple of options at your disposal though that you may want to explore as well. Make sure you install the latest driver package for the graphics card. 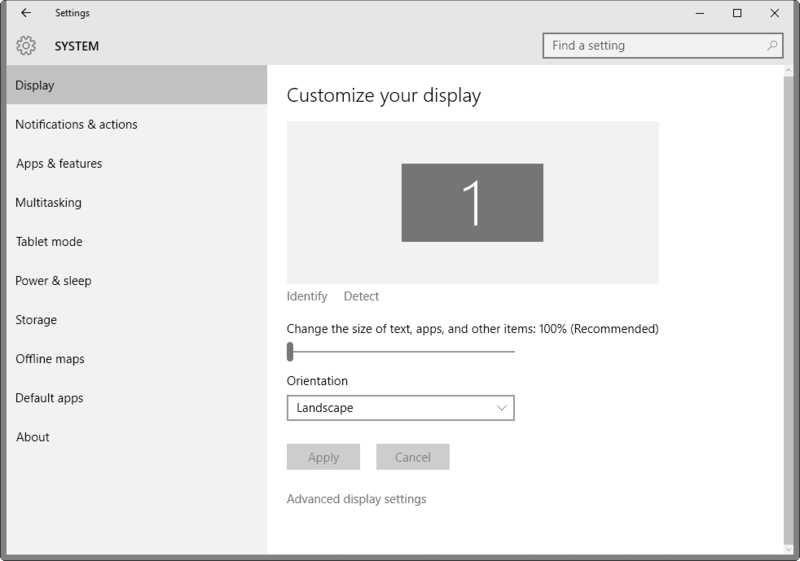 Application updates may introduce better compatibility with high DPI displays. The Magnifier tool may help you out if you run into display issues less frequently. To launch it, tap on the Windows-key, type magnifier and hit enter. This entry was posted on Thursday, July 21st, 2016 at 10:57 am	and is filed under tech tips. You can follow any responses to this entry through the RSS 2.0 feed. Both comments and pings are currently closed.